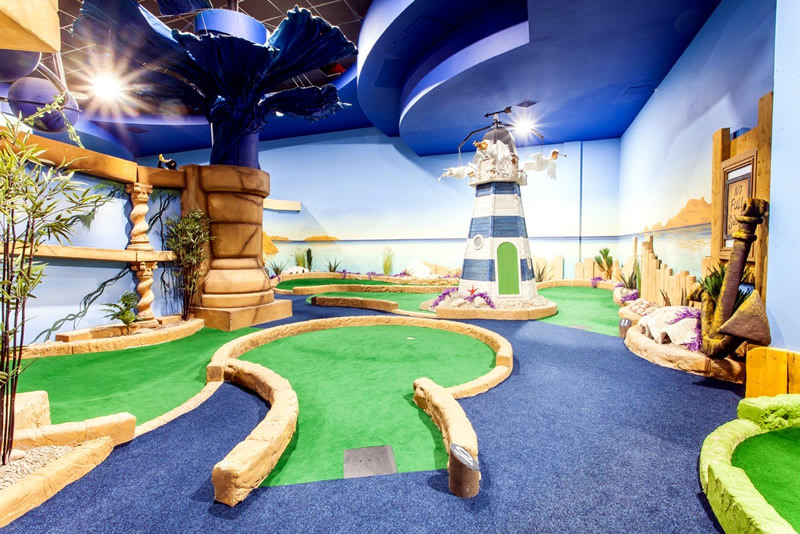 Since pioneering indoor adventure golf in the UK in 2006, Paradise Island Adventure Golf has experienced strong growth across Scotland and the north of England. Its unique leisure experience is leading the trend of providing ‘competitive socialising’ for the whole family at high footfall retail sites. Newly owned by Brighton Pier Group PLC, the company will shortly open its seventh outlet in Rushden Lakes, with another to open later in the year. Until now, the organisation has operated using isolated electronic cash registers. Consequently, it has had to manually extract and collate the level of information – such as about footfall and average spend – that it needs to inform strategic decisions. It has also had limited ability to meet customers’ growing expectation of interacting with them via multiple channels. As the company expanded, it wanted a more comprehensive and agile information system that would enable it to provide a consistent and engaging experience for customers across sites and channels, and a more sophisticated view of operations for all executives. It chose Microsoft Dynamics NAV as its back-office ERP system, and needed a powerful omni-channel solution to feed it information from across its customer-facing operations. For this, it turned to STL for expert advice. STL recommended the NCR Smart Retail POS solution; a fast, dependable and powerful point of service system with an easy-to-use touchscreen and full-function keyboard. It delivers a convenient, three-click checkout experience for most transactions, and also supports more complex transactions such as multiple payment types, loyalty rewards, multiple tender types, and product returns or exchanges. 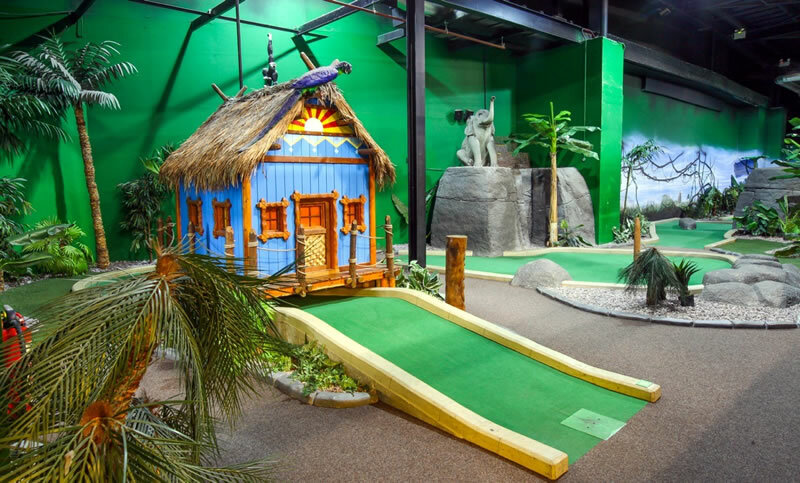 As an open system, it will easily integrate with Paradise Island Adventure Golf’s online facilities, and has built-in integration for the NAV software. The web-enabled solution will give executives easy access to up-to-date, accurate and query-able information, even when they are off-site or on the move. Head office executives will, for example, be able to track and compare performance in all areas of the business, take timely action to address any emerging issues, and test ‘what if’ scenarios to optimise decision effectiveness. Area managers will be able to access sales information before entering any outlet, making all planning discussions more productive. Meanwhile, outlet managers will be able to monitor and forecast customer trends to optimise scheduling and staffing levels. Importantly for customers, NCR Smart Retail POS helps retailers to provide consistent shopping experiences across digital and physical touchpoints. One outcome is that this will enable Paradise Island Adventure Golf to run its loyalty programmes electronically. It currently has a card-based process which affords little opportunity for data collection or responsiveness. With the new system, it will be able to collect more detailed customer data – such as knowing how many adults and children are using a family ticket. It will also gain a single view of customer behaviour across channels, inventory demand, and insights into trends impacting business performance. All this will help it to personalise schemes that will cost-effectively reward customers, and encourage higher repeat visitation and spend-per-visit. STL will first install the NCR solution at the new Rushden Lakes outlet and, once tested, roll it out to the company’s remaining branches.